AT&T is bringing President Donald Trump back into the lawsuit around the Justice Department's attempt to block the telecom giant's acquisition of Time Warner. In the opening paragraphs of a brief filed Thursday, AT&T reminded the court that Trump said during his campaign that he would block the merger and that he didn't like one of its networks -- CNN. 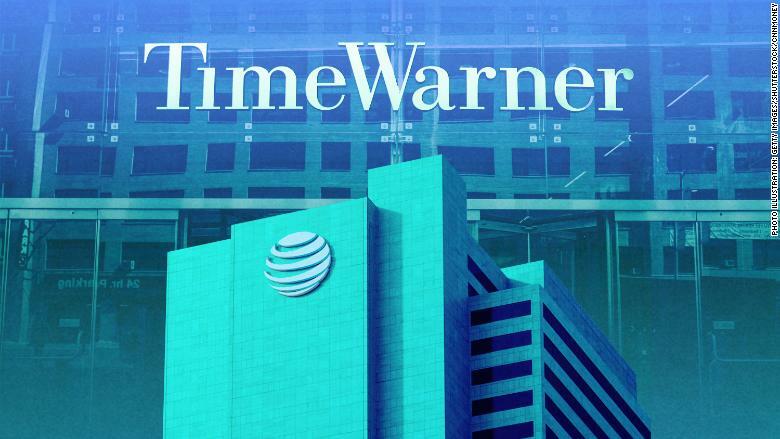 In June, AT&T successfully fended off the Justice Deparment's first crack at stopping its purchase of Time Warner, CNN's parent company, which has since been renamed WarnerMedia. But the Justice Department is appealing the case, arguing that the deal will harm competition and raise prices for consumers. Politics has always clouded the case, which has become one of the biggest antitrust issues in decades. Trump has long shown an animus toward CNN, and many critics questioned why a conservative Justice Department was taking what would traditionally be a more liberal position on the merger. But Judge Richard Leon, who oversaw the case and ultimately approved the merger in June, stopped discovery on any potentially relevant White House communications. Trump's name was never uttered during the trial. The Justice Department has long denied that politics played a role in its decision to sue, and its antitrust chief Makan Delrahim submitted an affidavit to that effect. But Trump's name is being invoked again. In the brief on Thursday AT&T reminds the appeals court that "many press outlets [questioned] whether the White House had improperly influenced DOJ's decision to bring the case" and that by throwing out discovery on that question, Leon limited "the trial to the fundamental question of whether DOJ had met its burden to prove that the proposed combination violated" antitrust rules. A footnote in that section of the brief includes a press release from Trump's campaign that said "AT&T ... is now trying to buy Time Warner and thus the wildly anti-Trump CNN. Donald Trump would never approve such a deal." Leon ultimately decided that the Justice Department had not met its burden during the trial. But the Justice Department is arguing that Leon made "fundamental errors of economic logic and reasoning" in his ruling. In its response, AT&T says that Leon "well understood the economics" underlying the Justice Department's theory and argued that Leon accepted much of the Justice Department's analysis, but said evidence and testimony during the trial "led the court to reject DOJ's prediction that Time Warner would command a higher wholesale price for its most popular networks simply by being affiliated with AT&T."